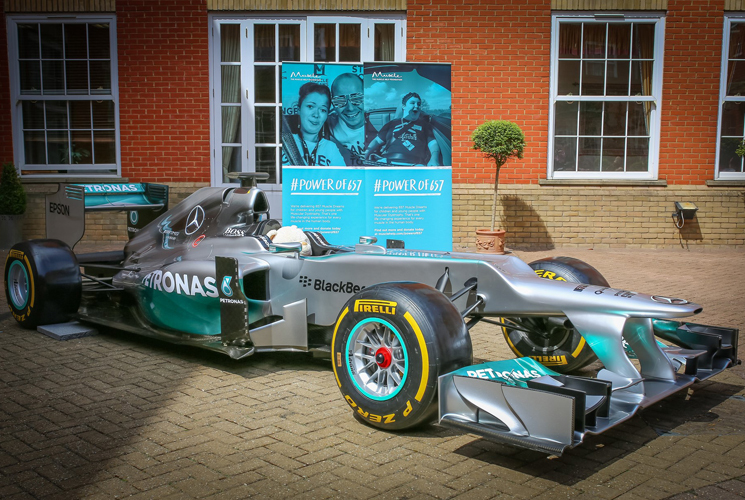 Every year, the MERCEDES AMG PETRONAS Formula One Team is proud to support two charities, chosen via an extensive selection process. These causes are nominated by team members throughout the company’s factory facility in Brackley. They are then elected by a panel of board representatives. 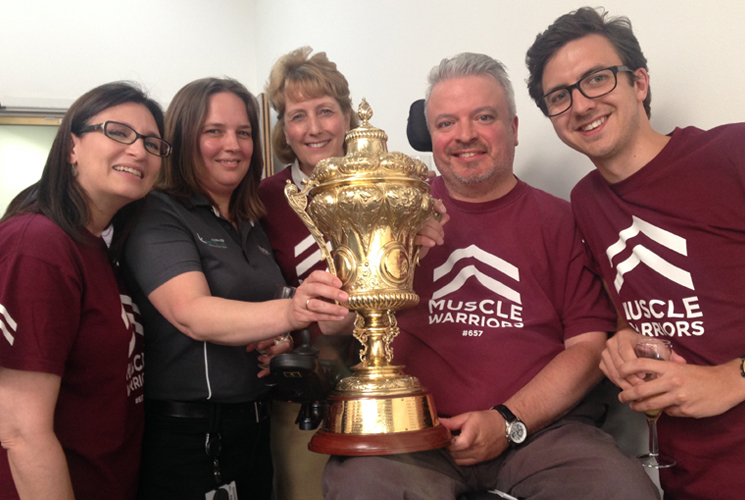 The Muscle Help Foundation (MHF) is thrilled to have been chosen as one of two official charity partners to be supported by MERCEDES AMG PETRONAS. Following a presentation to a panel of seven team members given by MHF’s CEO, Michael McGrath at their Brackley HQ in early April, ably assisted by William Arnott, one of the charity’s Muscle Warrior beneficiaries who spoke about how the charity had changed his life, the fantastic news that the Muscle Help Foundation had been selected arrived in mid-May. 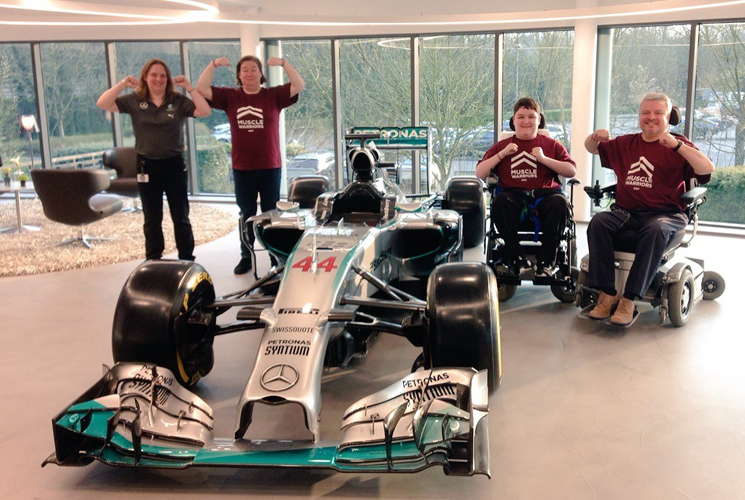 Pictured above (left to right): Melanie Ridgers from Mercedes, Katie Arnott (mum of Will) and the MERCEDES AMG PETRONAS W05 Hybrid – Lewis Hamilton’s 2014 Championship winning car, with beneficiary William Arnott and Michael McGrath. Recommended by the MERCEDES AMG PETRONAS Charity Committee and then subsequently approved by the company’s Management Board, the 18-month partnership has already begun. Asked to give a short address to the entire team at Brackley after Toto Wolff (Executive Director of the MERCEDES AMG PETRONAS Formula One Team) and Paddy Lowe’s (Executive Director, Technical) British Grand Prix debrief the day after Lewis Hamilton triumphed, Michael proceeded to engage hearts and minds. With glasses of champagne being enjoyed by staff to celebrate Lewis and Nico’s outstanding one-two finish the previous day, Michael’s short talk that touched on the #powerof657 received rousing applause as he invited the 800-strong crowd to deliver the first of hopefully many Muscle Warrior salutes! Thanks to the Chief Executive of the Motor Sports Association (MSA), the governing body of UK motor sport, Rob Jones offered the opportunity to Michael and his team to ‘touch’ the much coveted trophy known as ‘The Gold One’! Pictured below (left to right): Lydia Drukarz, Melanie Ridgers from Mercedes, Sue McGrath, Michael McGrath and Ryan Tym. MERCEDES AMG PETRONAS also supported the charity at one of its signature Muscle Dream programmes by generously providing a show car (pictured below) to display. And more recently, the company held a Family Day on Saturday 11th July at Sywell Aerodrome (Northants), offering an immediate and exciting opportunity to not only help the charity deliver two unique Muscle Dreams that involved meeting Lewis Hamilton, Nico Rosberg and the legendary Sir Stirling Moss but also offer a platform to meet staff and families and chat about MHF’s work in an informal relaxed setting.  Watch this space over the coming months for more news on how the MERCEDES AMG PETRONAS Formula One Team is working to support MHF.